Hi lovelies! 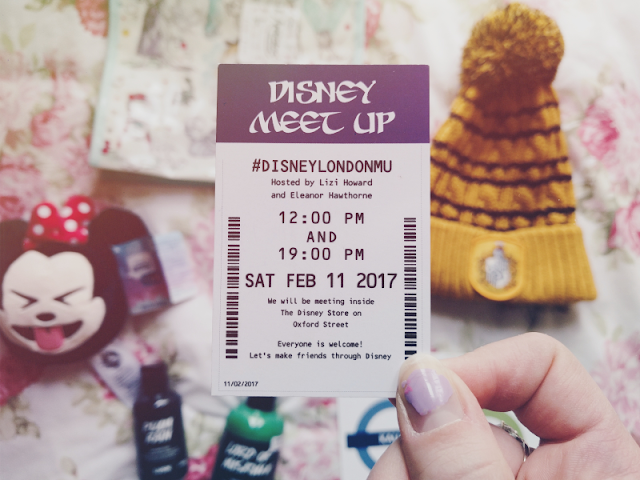 On Saturday I headed off to London for the Feburary #DisneyLondonMU - the second one that I've been able to attend. As you can see from the photo below loads of people came to this one! Unfortunately I didn't get to talk to everyone I wanted to (damn my awkwardness/shyness!) but the people that I did speak to were downright lovely! Credit goes to @lostinthemagic1 and @playtalkwearred for these photos! ...And here's what I ended up buying! From the Disney Store I bought this adorable little Animators' Collection bag (#1) and Minnie Mouse emoji soft toy (#2). I picked up the emoji soft toy to see what it was as I hadn't spotted these before but when I felt how soft and squidgy it was, I couldn't put it back! I think I'll actually use it as a stressball haha! We also ended up in the Lush Oxford Street store. This was my first visit and I can definitely see why people rave about it now - it was absolutely huge! As I don't currently have a bath (woe is me...) I headed off to the shower gel section. To my surprise they had Lord of Misrule (#3) which is my favourite shower gel from Lush but I believe it's usually a seasonal product in other shops so of course I had to pick up a bottle! I also bought a little bottle of Plum Rain to try out. During the meet I also picked up a few things off the people there. From Lizi I got some more of her magical Disney Underground prints (#6) from her Etsy shop that I'd ordered (expect to see lots of pictures of these on my social media and blog over the next few weeks! 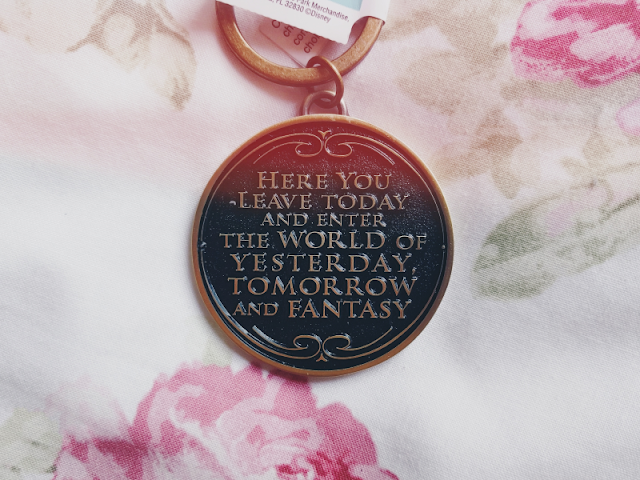 ), and from Sam I received this gorgeous Disney plaque keyring (#4) that her parents had kindly picked up for me from the Parks! Thank you so much to Lizi and Eleanor for organising this meetup! I had such a lovely time! Wow! what an amazing turn out! I love the idea of having the meet up ticket like the tickets you get in the parks, that's a really nice touch :) I'd love to know who designed that or how they made them, its so cool! :D also love your purchases, that minnie emoji is adorable! 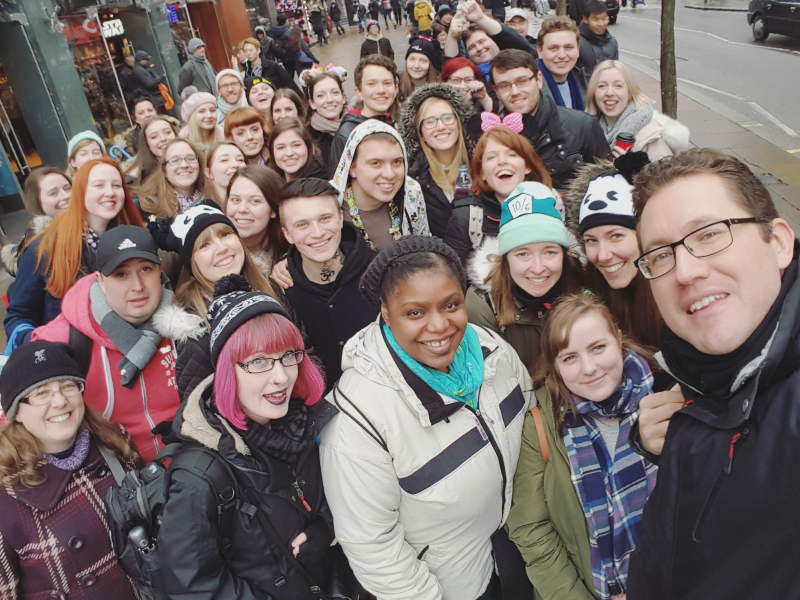 This looks like an amazing meet up! Something very different and I suppose with it being Disney you know you all love the same thing. 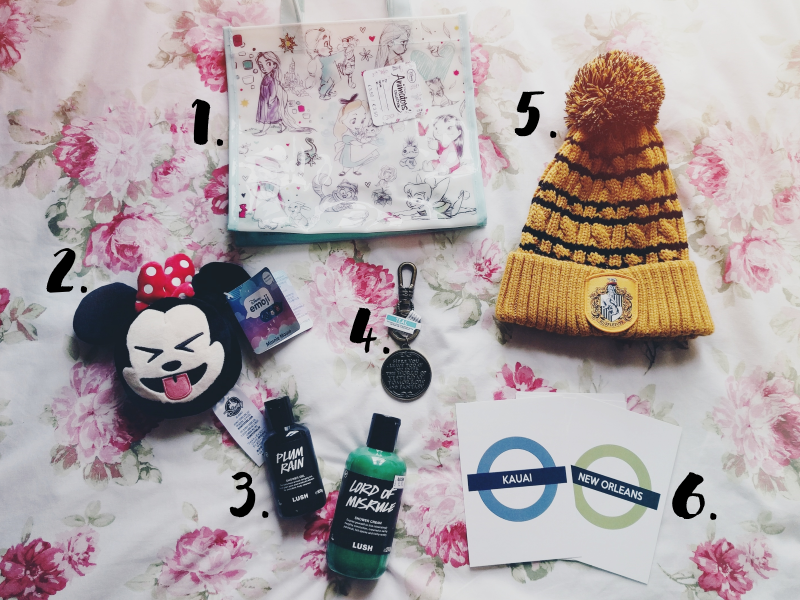 I love everything you picked up, especially those Disney Underground Prints! Like woow, those are amazing. I've seen them a couple of times now, I would love some of my own. 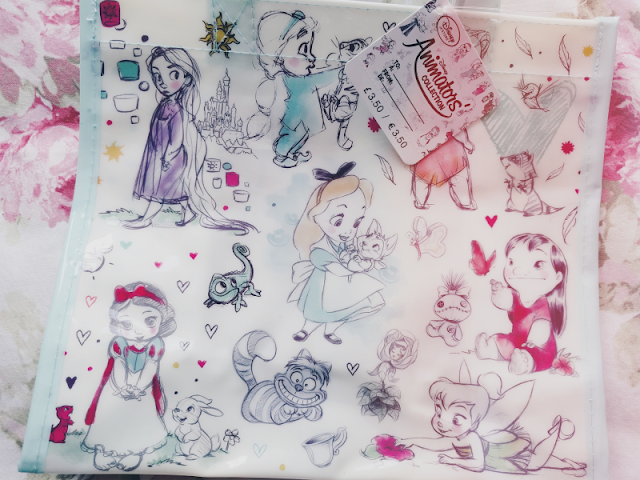 That Animator's Collection bag is so cute! 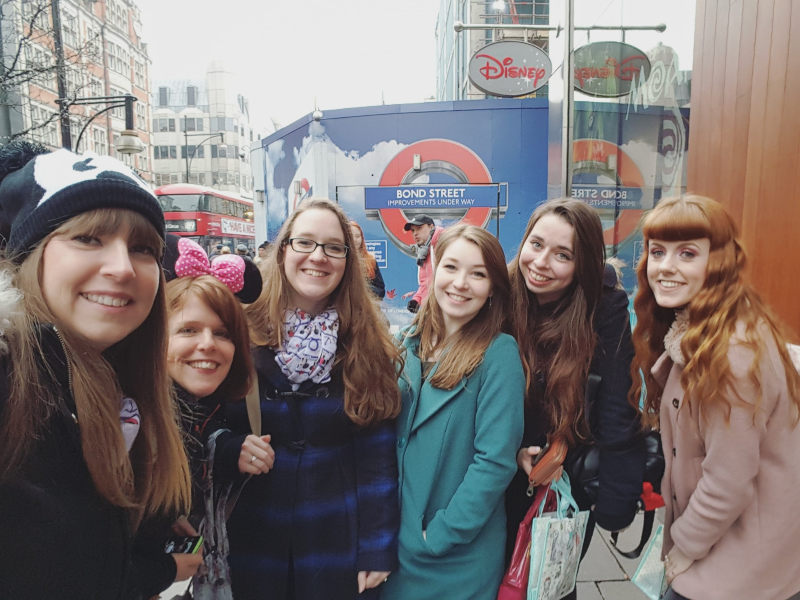 It looks like you had an amazing day in London.